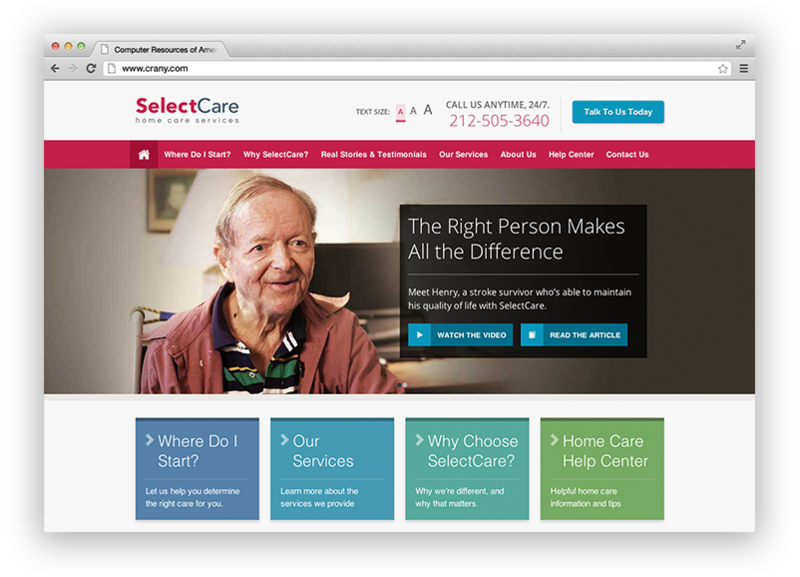 Right from the gate, we learned that SelectCare is a people-focused company. Their heartfelt compassion for caring was inherent in their personality in our initial meetings, and we knew we had to somehow show that in their online presence. 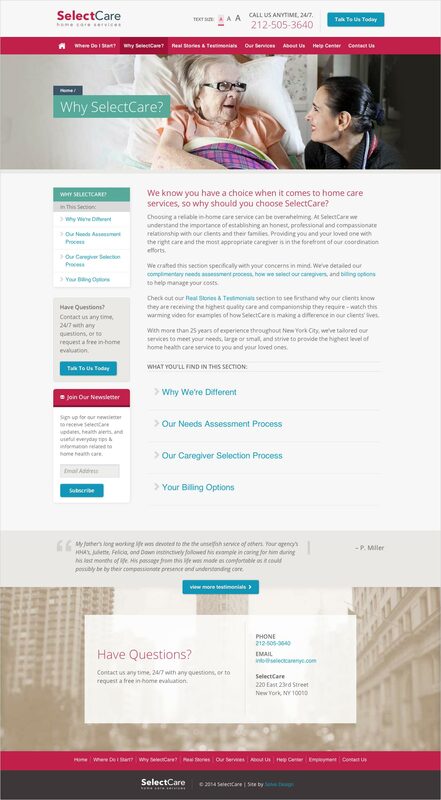 Home care is a very personal matter that affects real people, and we wanted to convey that. 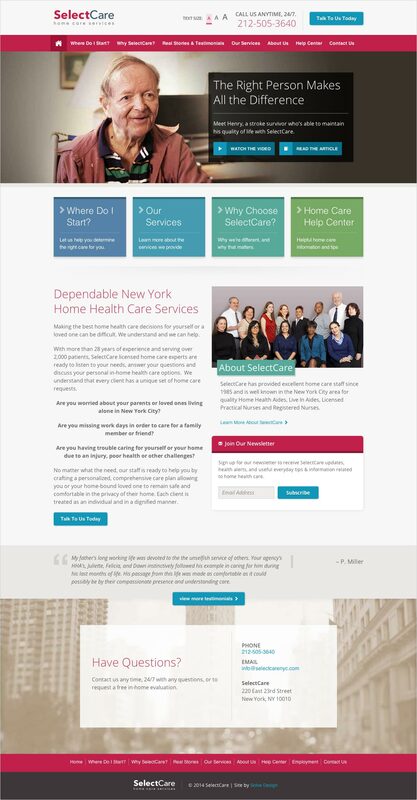 The site needed break out from the cookie cutter feel of home care websites that featured the same tired stock photography and informational content. Instead, we structured the site in a way that addresses real concerns in an easy to digest manner, and we partnered with a photographer and videographer to capture real clients and their stories. 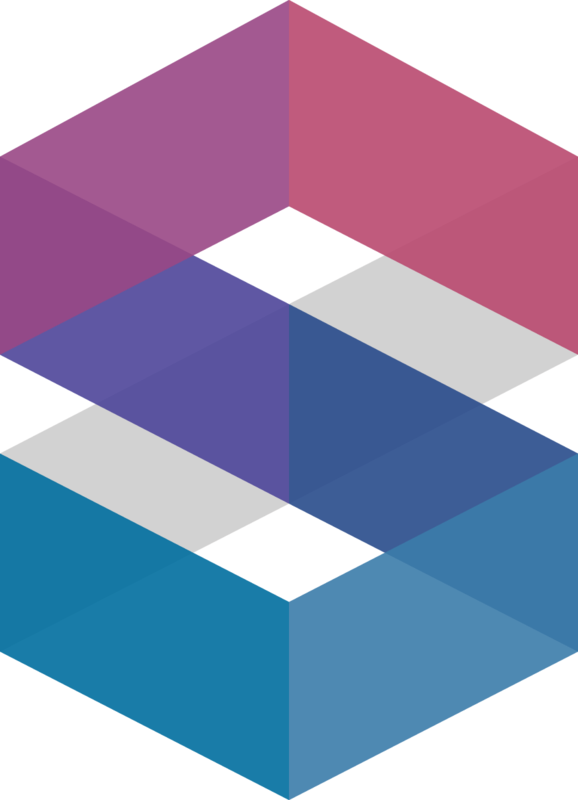 The result is a website that is an honest and straightforward insight into a company that truly cares about it’s clients.